This entry was tagged Books, Goodreads, Readers, Reading, Reading Challenges, Reading Goals. Bookmark the permalink. That’s great! 104 books is a lot, but at the rate you’re reading it may not be too far off! I’d love to hear if you set a new reading goal. I think I’ll keep my current goal for now. It’s too late in the year to raise it by 43 books. 😀 I think I may have sent you an invitation in Goodreads. It would be nice to have another friend to compare books with. Well, the professor is a notoriously slow reader. Do you portion amounts of the book per day? I’ve always meant to set a goal for books read during the year and this is a great reminder. I love the idea of always having a book to work on, especially during those treasured found moments during the day. It’s so easy to have something loaded on the kindle or kindle phone app. Way to go! I set a goal of 20 books for 2013, and I keep track of it on Goodreads as well. As you said above, this is a reasonable goal for me, as I’m a dreadfully slow reader. I see on your Goodreads link you’re reading Cheryl Strayed’s novel? Have you read her memoir, Wild? It was fantastic. I just finished rereading Stephenie Meyer’s New Moon (book 2 in the Twilight saga). I know her work is often criticized for being amateurish and not well written, but the stories are so compelling. I loved reading it again. Yes I read Wild. I really enjoyed it and wanted to give her novel a try. Just as I have guilty pleasure shows I watch, I have guilty pleasure reads too! I think if a book (or TV show) is entertaining, who cares? Agreed, 100%. 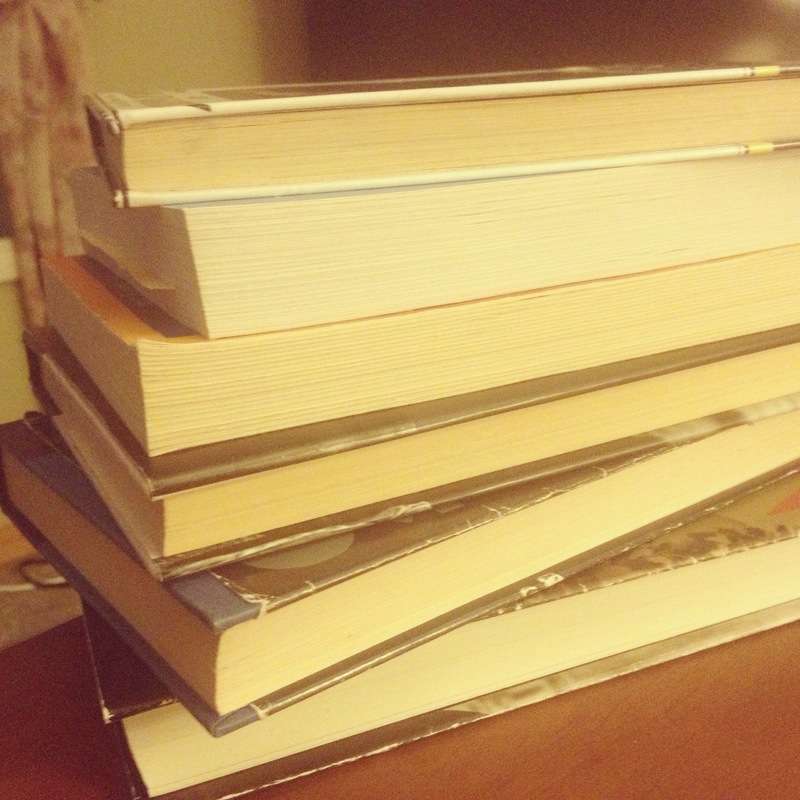 I’m the furthest thing from a book snob, and I make no apologies for my reading choices. It’s all about entertainment and enjoyment, which is a very personal matter.